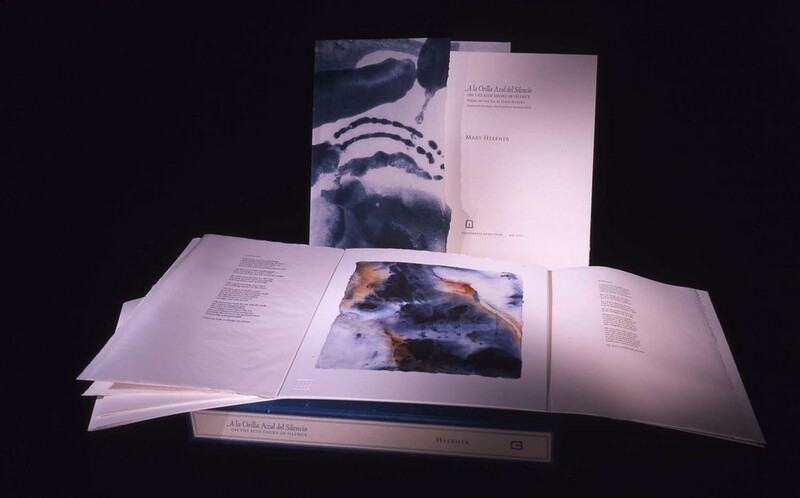 This page shows images of the limited edition artist's book On the Blue Shore of Silence, created by Lumino Ediitons in collaboration with the artist Mary Heebner. The bilingual edition features the poetry of the Noble laureate Pablo Neruda with translations by the Scottish poet and translator Alastair Reid. 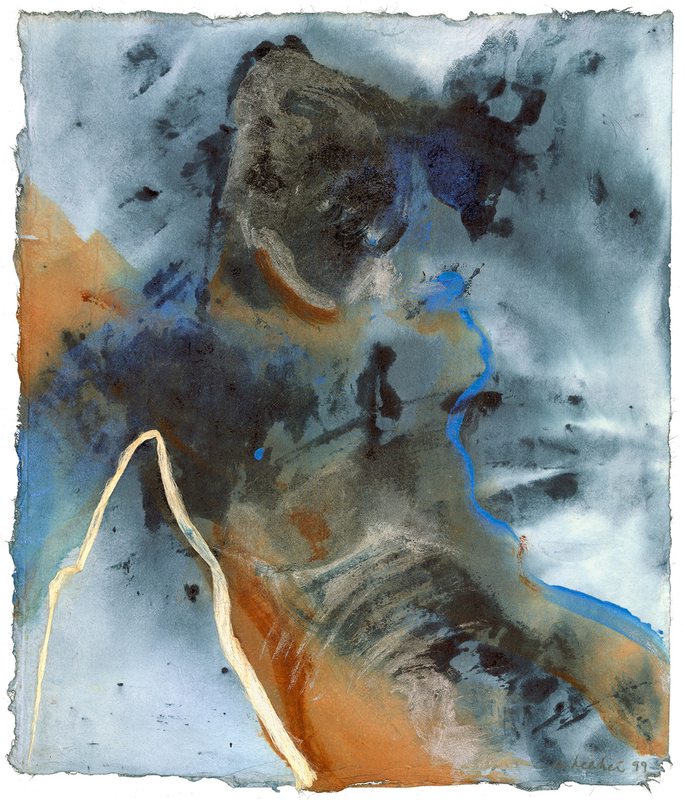 Heeber, who published the work in an edition limited to 30 copies, made a series of vivid abstract paintings to accompany each poem. She also made by hand the linen paper on which the poems were printed letterpress. Housed in a an unusual handmade box constructed with maple wood, and Japanese Ashai cloth over boards. Poems by Pablo Neruda. Translations by Alastair Reid. A bilingual edition. 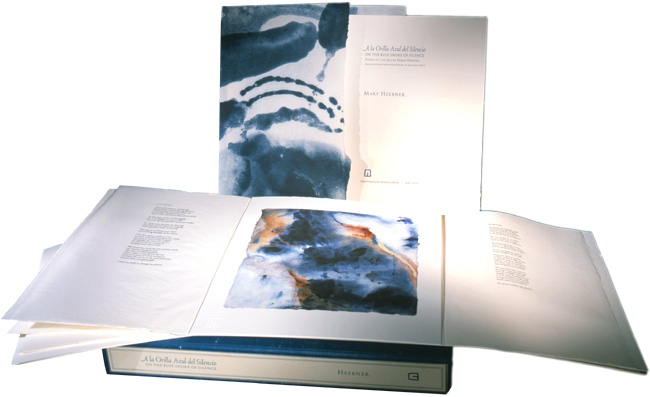 This page shows images of the limited edition artist's book On the Blue Shore of Silence, created by Lumino Editions in collaboration with the artist Mary Heebner. The bilingual edition features the poetry of the Noble laureate Pablo Neruda with translations by the Scottish poet and translator Alastair Reid. Heeber, who published the work in an edition limited to 30 copies, made a series of vivid abstract paintings to accompany each poem. She also made by hand the linen paper on which the poems were printed letterpress. Housed in a an unusual handmade box constructed with maple wood, and Japanese Ashai cloth over boards.